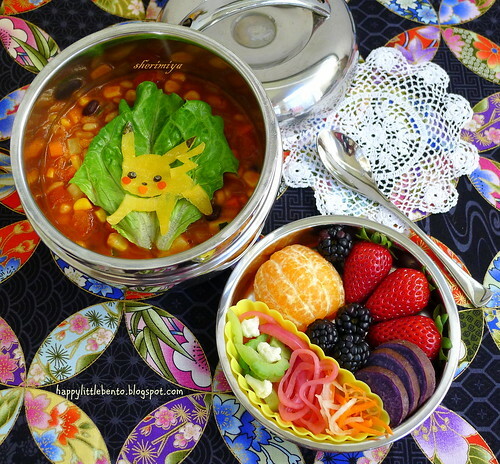 Pikachu Chili Bento, a photo by sherimiya ♥ on Flickr. Great Colors in this one! Stunning contrasts. Ooh, I love pickled cauliflower! I showed this bento to my girls and they just loved the Pikachu!! 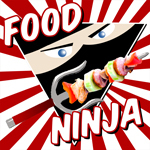 Yay, you now can make more Pokemón bentos, no? Um, I probably could make more Pokemón bento, but I guess I probably won't for awhile. Though TS was a bit put out that she didn't get one, hmm. I want to see your effort for the girls! Heh.